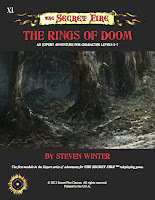 Earlier this week I got my first look at the cover for my adventure written for The Secret Fire RPG, "X1 The Rings of Doom" (slight title change from the original "Rings of Death"). I'm told there might be slight tweaks to the illo or layout before it's finalized but nothing anyone is likely to notice. The illustration doesn't show any specific scene from the adventure (wolves don't play much of a role in it), but I dig the painting anyway. It's a great piece of art for a Halloween release, which this is slated to be. 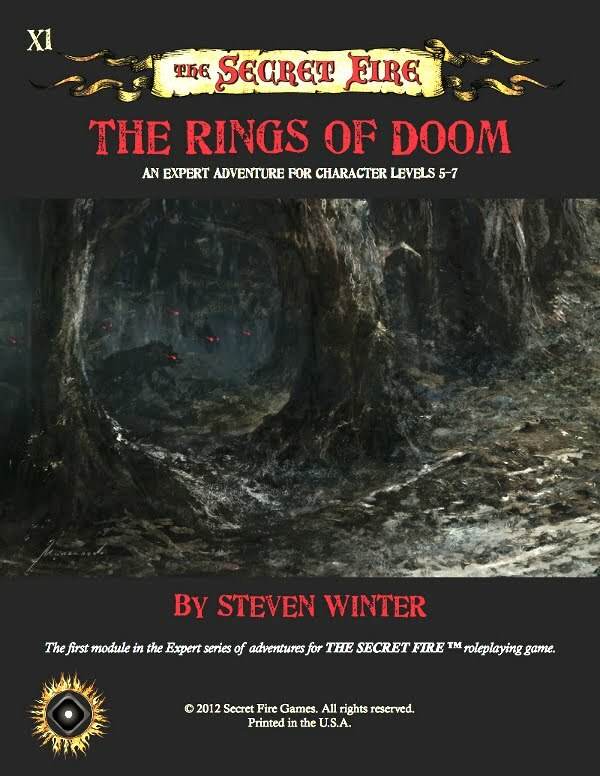 If you haven't tried The Secret Fire RPG, it's well worth a look. George Strayton and Tony Reyes packed more than a few interesting ideas into it. If any more X1 news comes my way, I'll be sure to pass it along here. No need to worry about those wolves...unless you happen to get lost in the incredibly dangerous wilderness in which Steve's fantastic adventure takes place. We're all really pleased with it (despite the body count)! 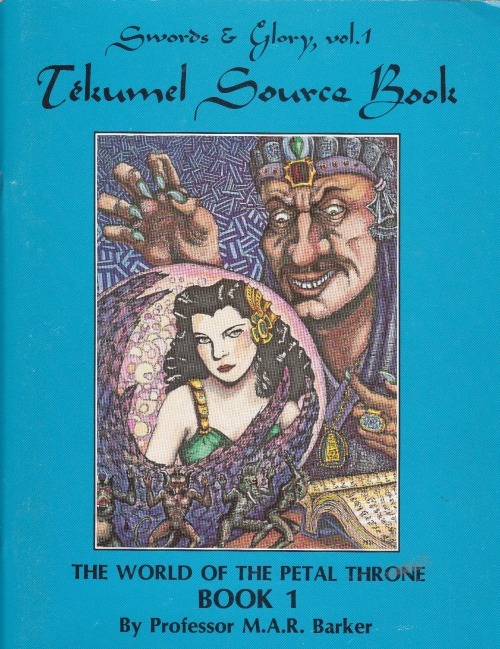 Seriously, as you'd expect, it's a fun module that requires both strategy, tactics, wits, and a great deal of bravery (or utter foolhardiness, or perhaps a combination thereof). "Indiana Jones and the Temple of Doom" had a similar change from its original title "Indiana Jones and the Temple of Death."